In the 1960's Harry Bertoia's iconic model 420 wire chair was released in a limited fiberglass production, known as the Model 427. 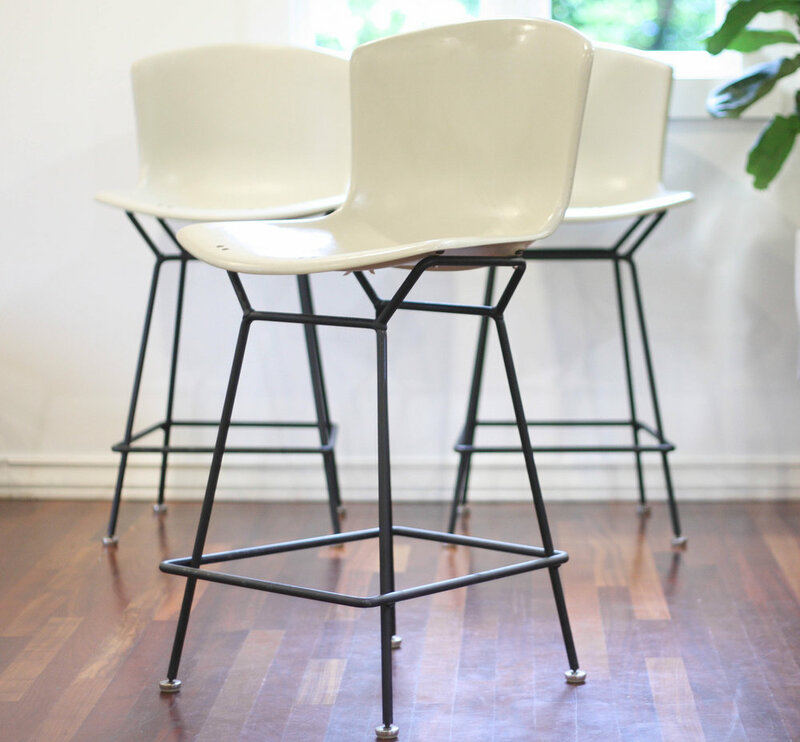 Like the Eames rocker, production of these Bertoia fiberglass chairs was ceased, making a vintage trio like this extremely hard to come by. 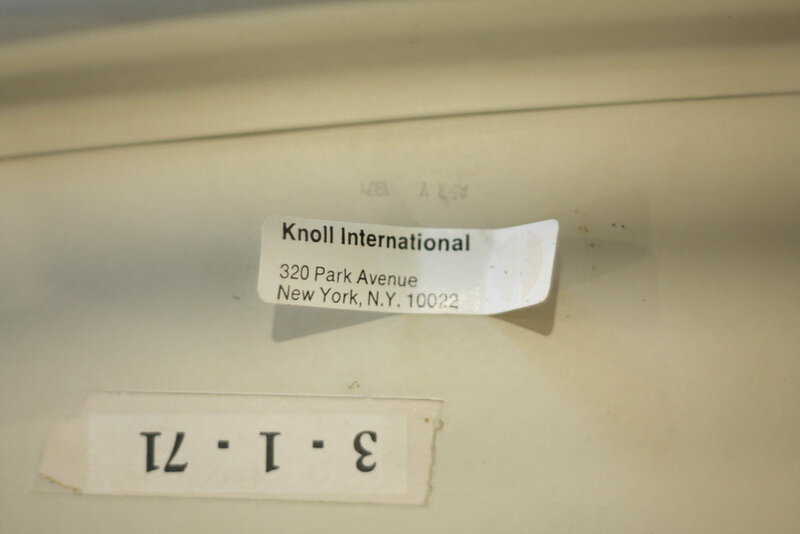 These bar height chairs retain their original Knoll labels on the underside authenticating these are the real deal. The holes in the seat were production spec (and not an after market alteration) to allow for air to pass through the seat bottom if a seat cushion or pad was used (no awkward farting sound when you sit down, haha). The off-white fiberglass shells are in very good vintage condition with very little, if any discoloration or fading. 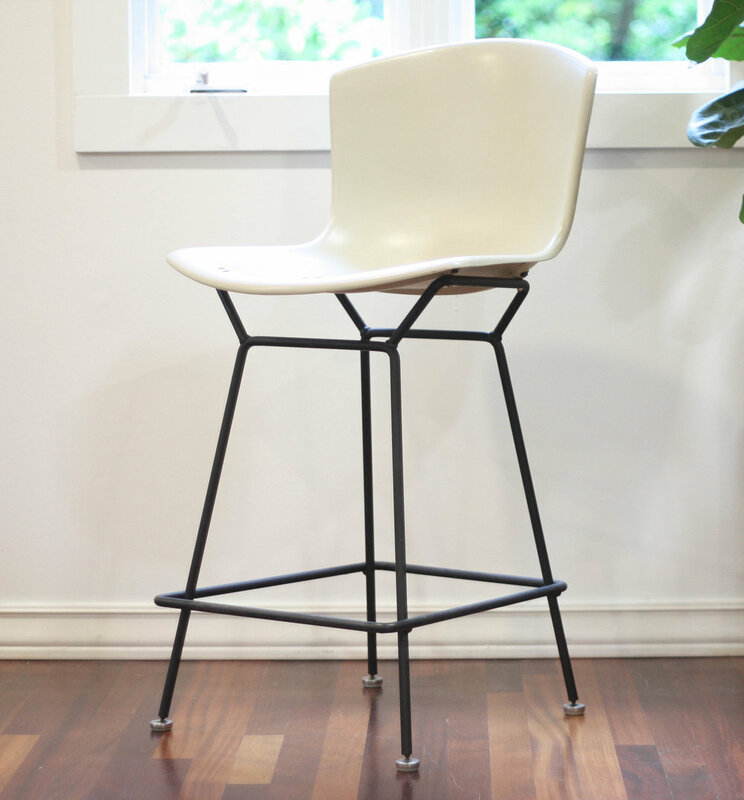 Each chair has a light patina or minor markings to the shell, but nothing that is easily noticeable unless inspecting awkwardly close. The solid iron frames are rock solid and super heavy. 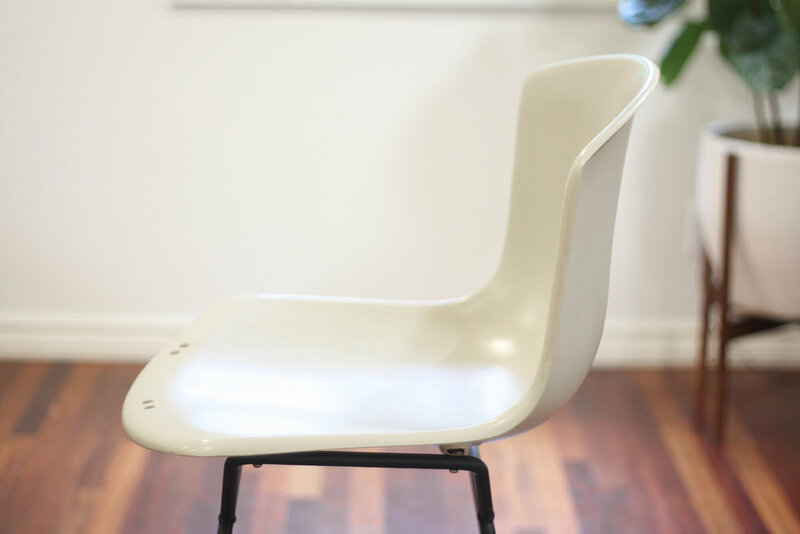 All original feet are the same that were used for the vintage Womb chairs. 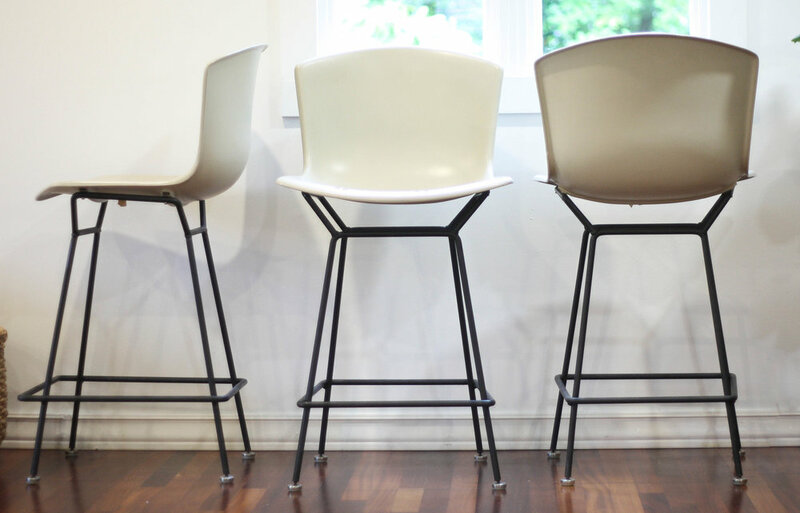 These stools are incredibly ergonomic and the most comfortable vintage stools we have ever sat in since the seat area is a bit larger than most, and the higher back provides plenty of support.